Mobile is a show so full of unpleasantness that not even a puppy could lighten the mood. A role that would be pretty close to the bottom of my list, as I really didn’t enjoy anything about this character or the show. An entire month dedicated to my favorite meal of the day isn’t something I can just ignore, so I’m celebrating on this beautiful late-summer day with these and some other breakfast scenes with Michael Kitchen. 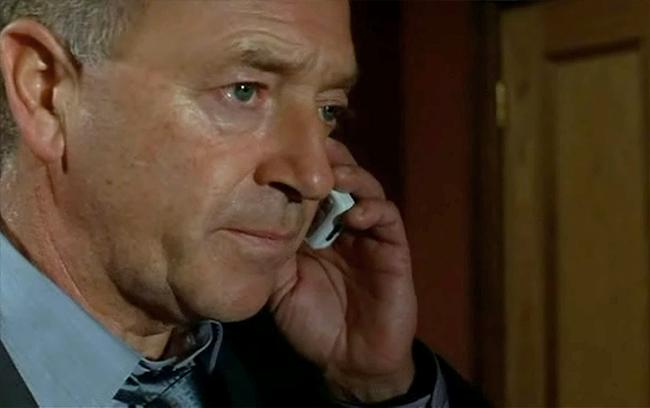 A promising start to Mobile: The Soldier with Michael Kitchen looking gorgeously Foyle-like, but we learn all too soon that David West is far from being an honorable man. The downward spiral depicted in the remainder of the show isn’t at all fun to watch. Another MK character up to no good with a big rifle. The dire situation brings out quite the display of facial contortions. 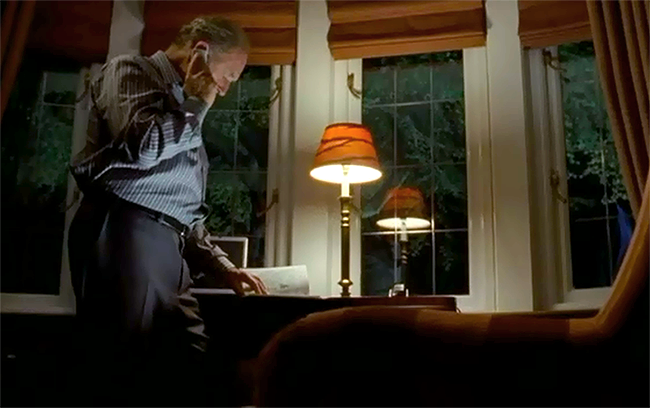 Some images from Mobile (2007) that take their cue from the film’s title. 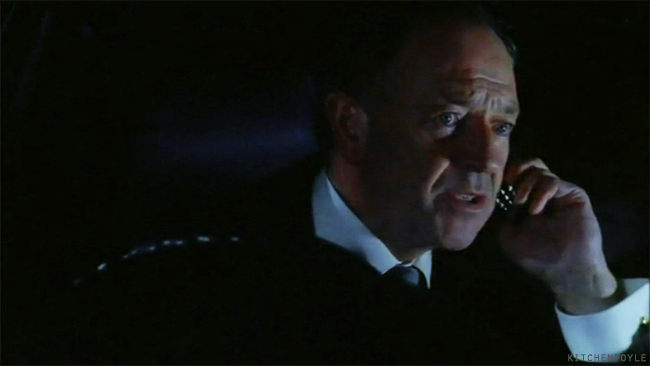 With its depressing story, violent content, and unlikeable characters, this show has little to recommend it except the presence of Michael Kitchen.